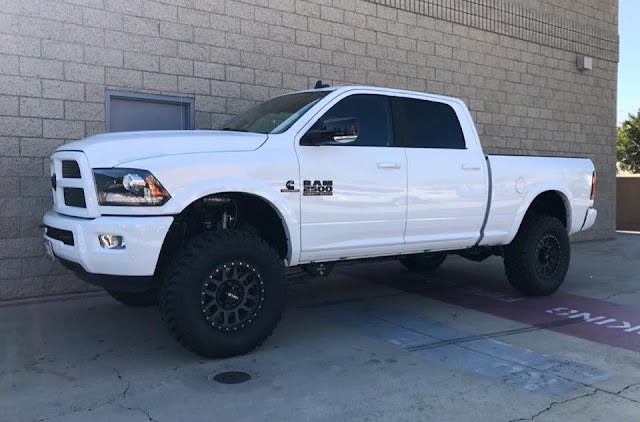 This Mega Cab 2500 features a Carli 2014+ Ram 2500 Leveling Kit, Carli 2014+ Adjustable Track Bar, 18" Method NV wheels, & 35" Toyo Open Country ATII's. We put together this brand new 2017 Ram 2500 Sport with a Carli Suspension Ram 2500 3" lift Back Country 2.0, 18" Method Grid Titanium wheels, and 315/70/18 Toyo Open Country MT tires. This was a fun one. 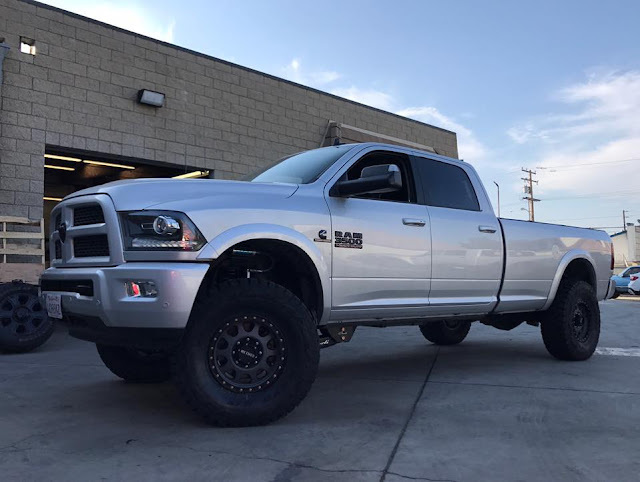 We took a 2015 Ram 1500 Hemi 4x4 and added a Carli Ram 1500 Performance 2.5 system, Method Machined Double Standards, and 34" Nitto Ridge Grappler tires. The ride quality improvement on this truck was substantial. 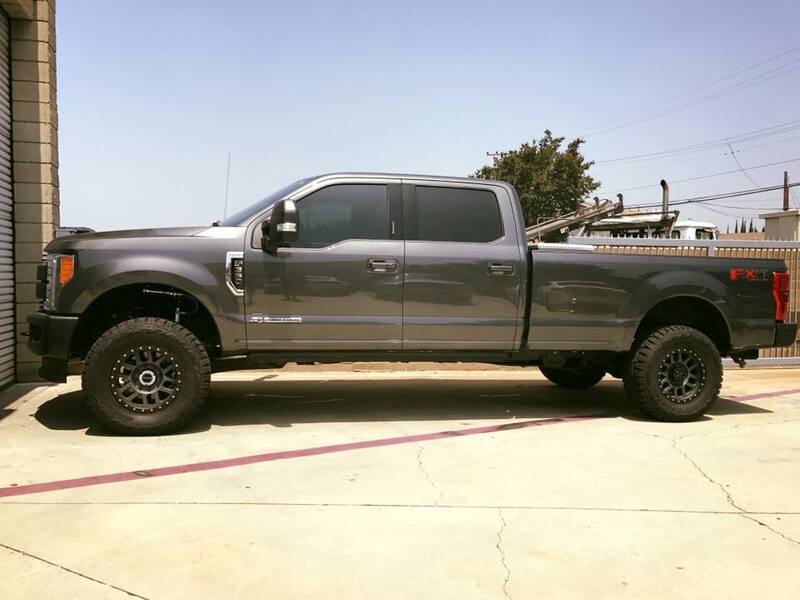 This 2017 F250 Super Duty was the second truck we installed a Carli 2017" Super Duty Pintoip 2.5 Leveling System on. We paired the suspension setup with 18" Machined Method NV's and 37x13.5x18 Toyo Open Country R/T tires. This local customer picked up and installed a Carli Ram 3500 Pintop 2.5 3" Lift on his brand new Mega Cab. Fuel forged 20x9 wheels and 37" Toyo Open Country MT's top off this awesome combination. 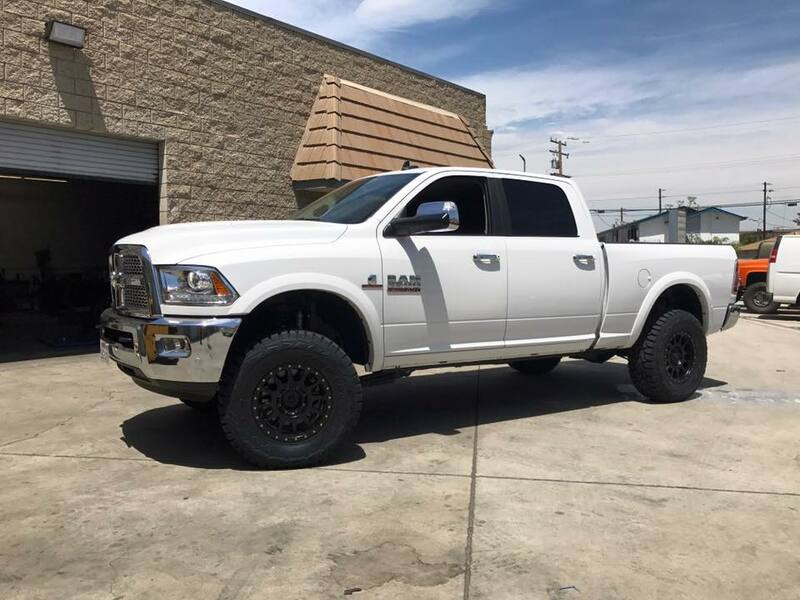 This brand new 2017 Ram 2500 sports a Carli 2014+ Ram 2500 Leveling Kit, 18" Method NV's, and Toyo 35x12.5x18 R/T's. 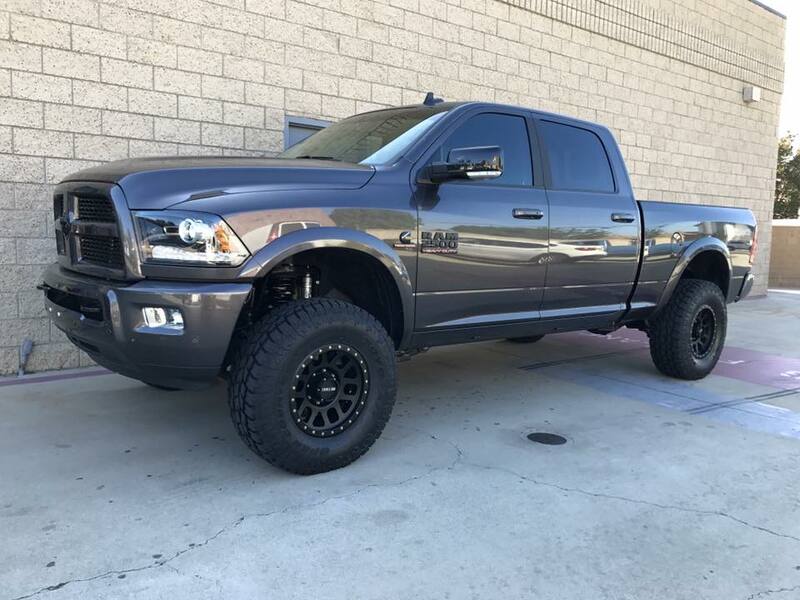 This setup provides amazing value for the price, with improved ride quality and handling while retaining factory weight capacity. Another 2017 Ram 2500, this one with a Carli Suspension Ram 2500 Back Country 2.0 kit, AEV Black Salta 17" Wheels, and 35" Toyo R/T tires. 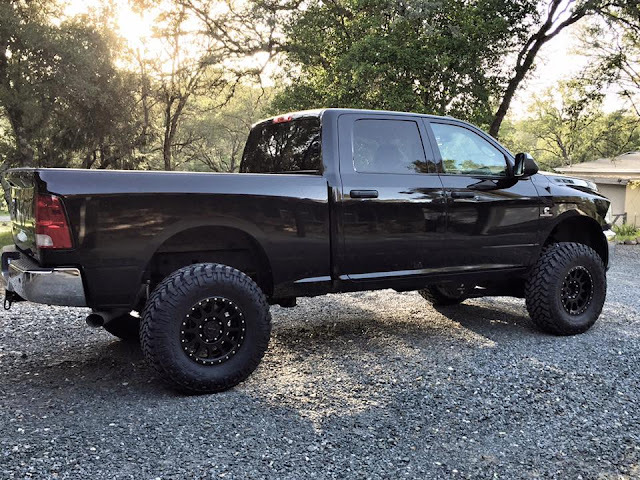 This truck rode significantly better than stock and the wheel/tire combination looked great! 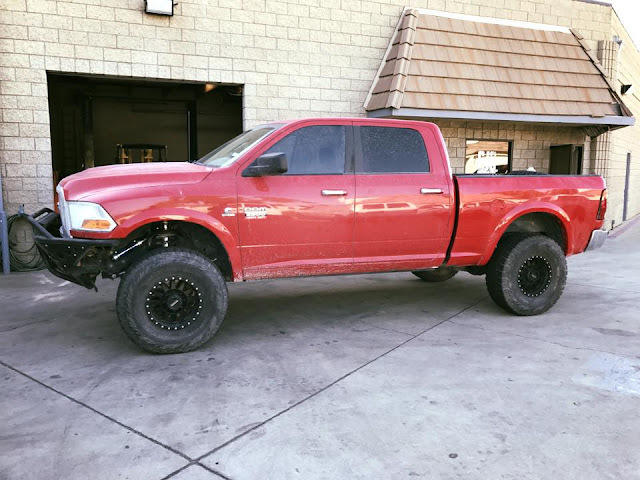 This customer installed a 2014+ Ram 2500 Carli Commuter 2.0 on his 2015 along with 18" Method Double Standards, and 37" Nitto Trail Grapplers. 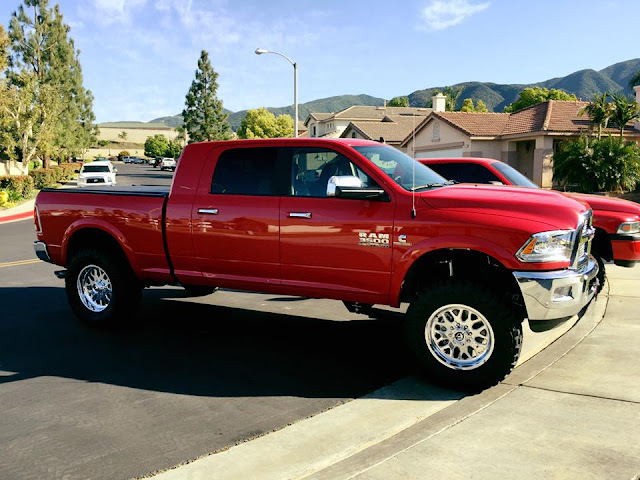 Carli's Ram 3500 systems provide a nice option for those that tow heavy with their trucks. 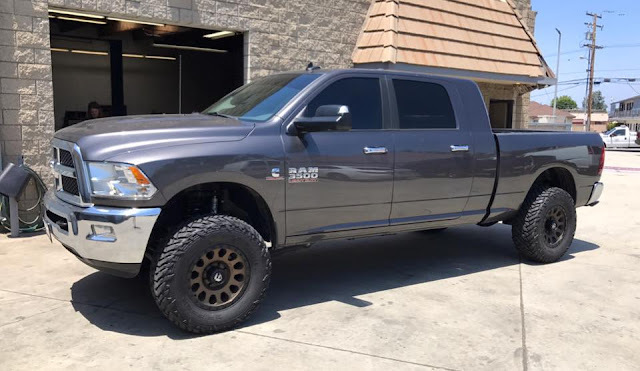 The add a packs included in the 3500 kits are designed to retain factory weight capacity, allowing for front and rear ride quality improvement without sacrificing payload. 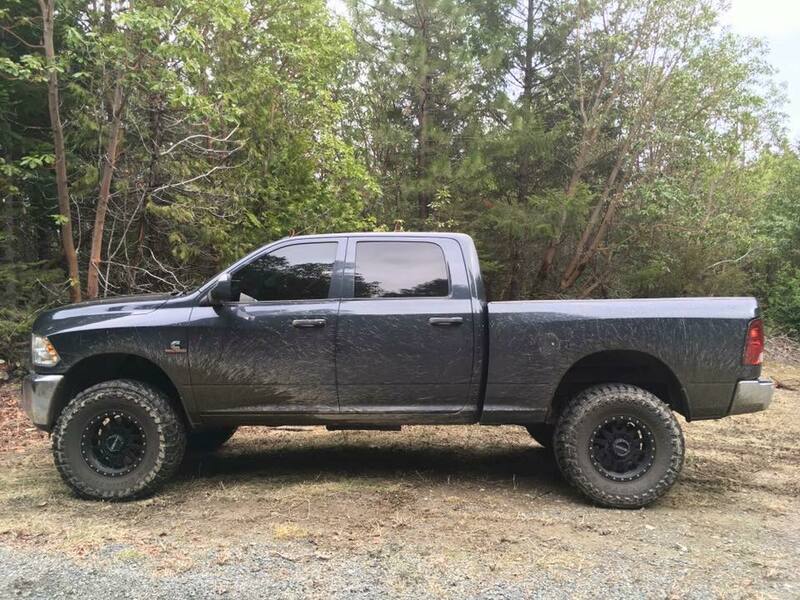 This particular truck has a Carli Ram 3500 Back Country 2.0, 18" Fuel wheels, and 315/70/18 Toyo Open Country MT's. This is an updated picture of one of the first Carli 2014+ Ram 2500 Pintop 2.5 trucks we put together. 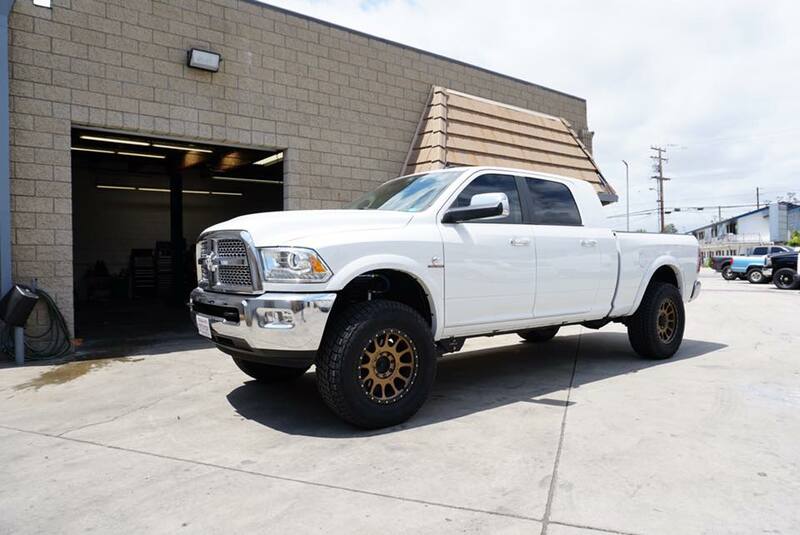 It now features 20" Method Bronze NV's and 37" Nitto Terra Grappler G2 tires. 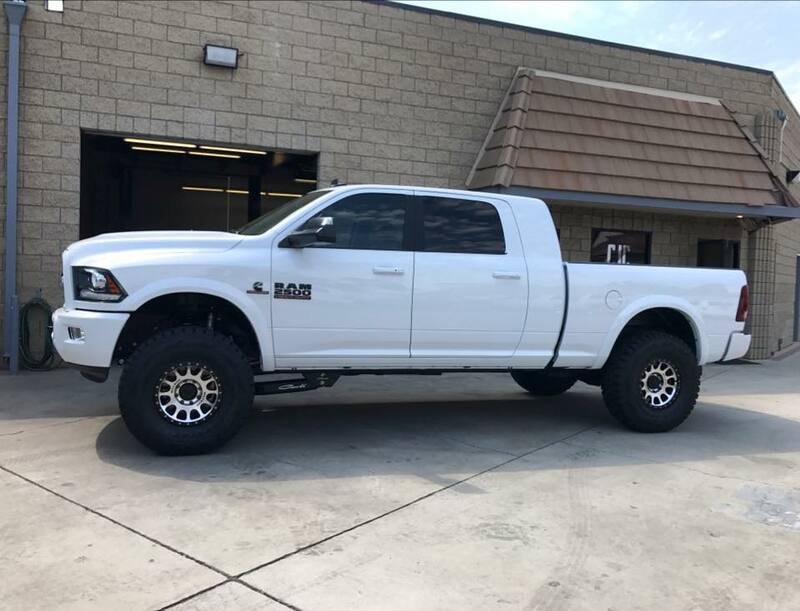 This crew cab short bed Ram 2500 features a Carli 2014+ Pintop 2.5 2500 system, 17" Method NV wheels, and 37" Toyo Open Country R/T's. With minor inner fender liner and pinch weld trimming, this truck clears 37" tires on 4.75" backspacing wheels. 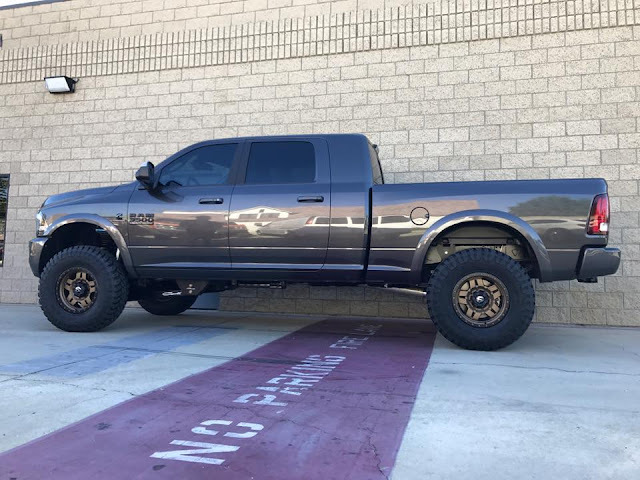 2016 Mega Cab 2500 Sport model featuring a Carli 2014+ Commuter 2.0 3" Lift, bronze 17" Raceline Defenders, and 37" Toyo R/T's. This customer in Texas's Ram features a Carli Dominator 3.0 3" lift system, an Addictive Desert Designs bumper, 17" Method Double Standards, and 37" Toyo R/T tires. 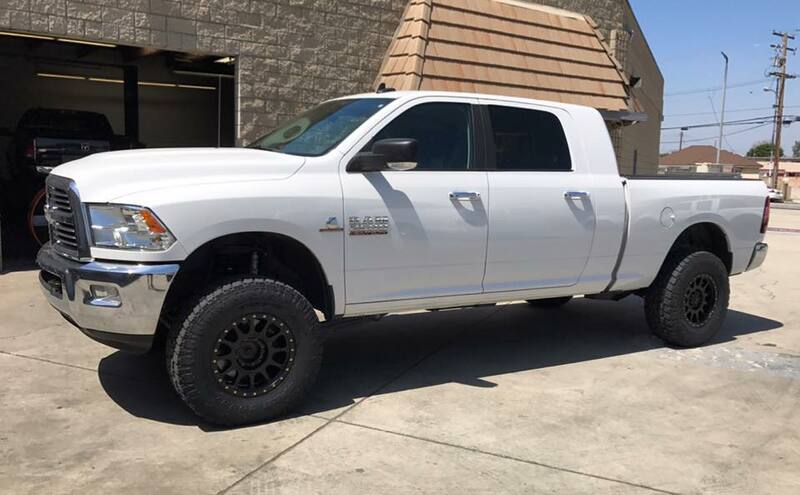 This Ram 3500 Mega Cab has a Carli Ram 3500 Fox 2.0 Leveling Kit, Fuel Vector wheels, and 35" Fuel tires. 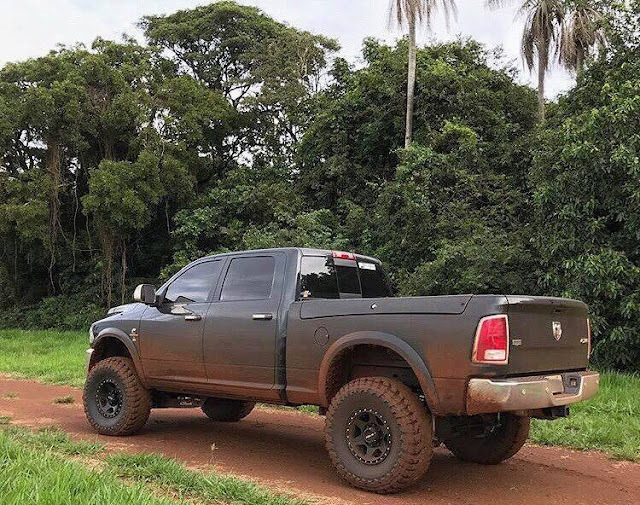 All the way from Brazil, this truck sports a Carli Ram 2500 Pintop 2.5 system, 17" Method Con 6 wheels, and 37" Toyo Open Country MT tires. This truck gets abused in the dirt on a frequent basis and has held up incredibly well. 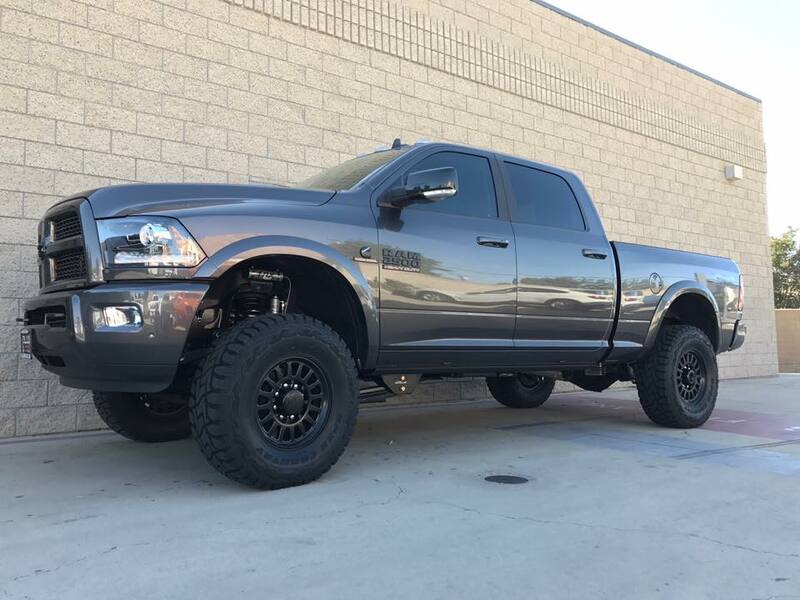 This is a repost of Kevin's 2015 Mega Cab 2500 featuring a Carli Pintop system, 17" Trail Ready Beadlocks, and 37" Toyo R/T's. 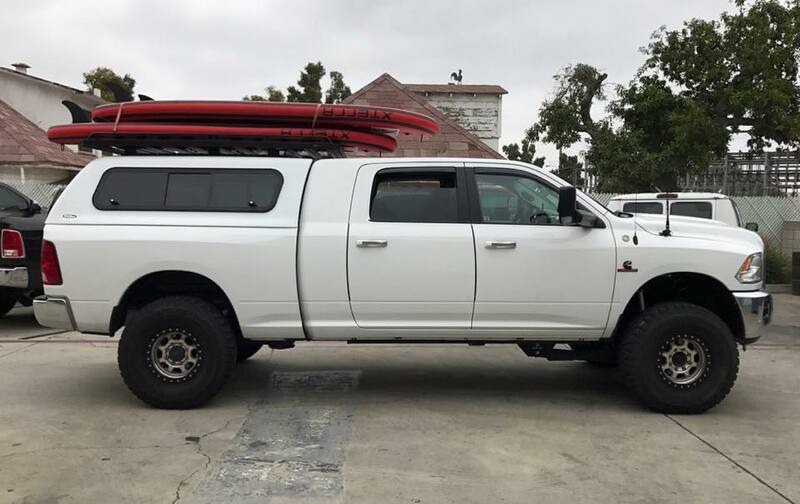 This truck was purpose build for expedition use and has certainly met the expectations of the owner! 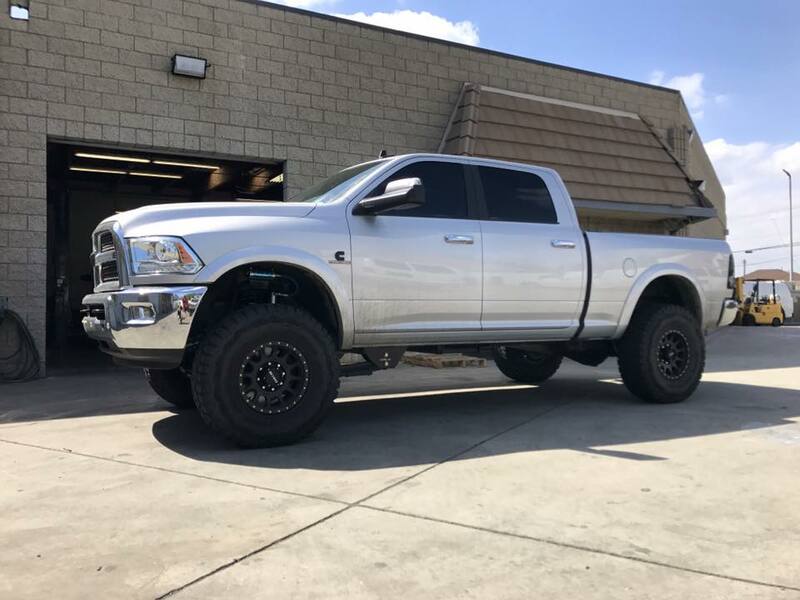 This 2016 Mega Cab 2500 Sport Blackout Package edition runs a Carli Pintop suspension it, 18" Method Double Standards (+18mm offset), and 37" Toyo MT's. This setup only required trimming of the plastic lip on the bottom of the back of the front flares and the very bottom of the plastic inner fender liners. The minimal trimming was worth it to achieve this combination! 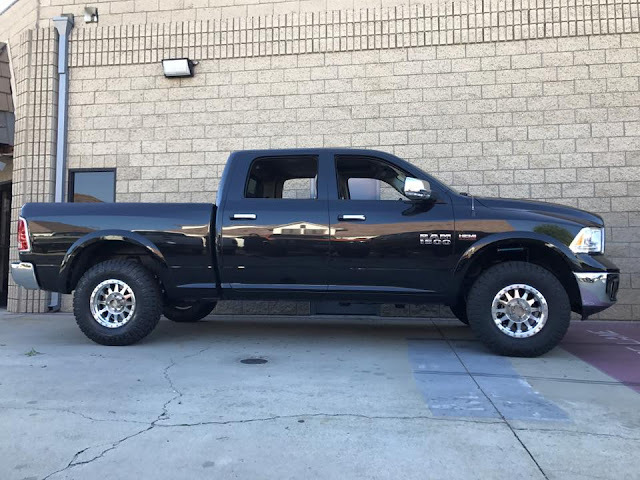 Brand new 2017 Ram 2500 with a Carli Leveling Kit, 18" Black Method Grid Wheels, and 35" Toyo Open Country ATII's. 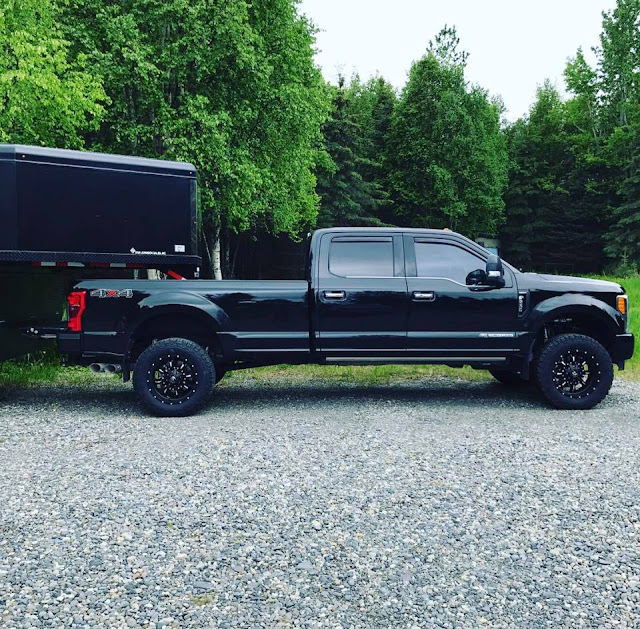 One of our Alaskan customers installed a Carli 2017+ Back Country 2.0 system on his 2017 Ford Super Duty. This truck gets frequently used both off road and for towing purposes. Carli's add a packs allowed for an improvement in ride quality while retaining towing capacity in the rear. This 2017 Ram Power Wagon is sporting a Thuren Overland Front Suspension Setup, 18" Method Vex Titanium wheels, and 37" Toyo Open Country R/T tires. This truck is one of our favorites. 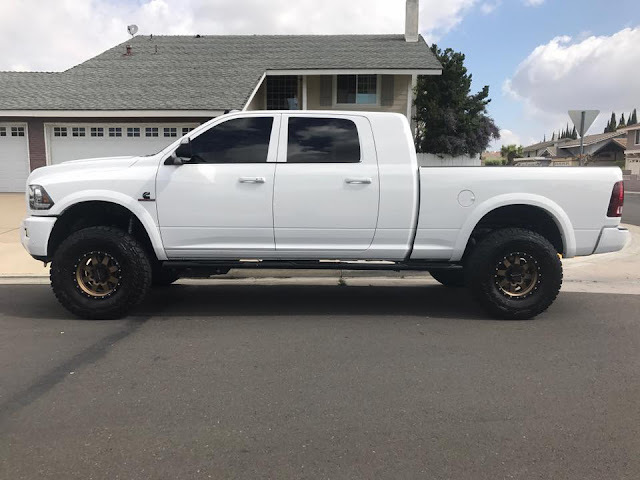 Our friend Miguel set up his new Mega Cab with a Carli 3500 Pintop system, bronze Fuel Anza wheels and 37" General Grabber X3's. 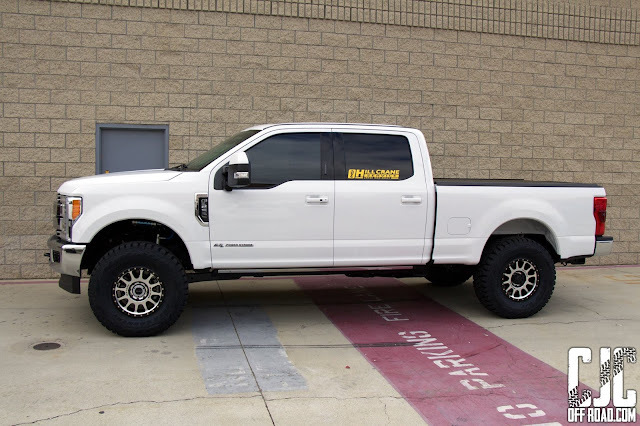 Chris 2017 Ford Super Duty rides night and day better than before thanks to a Carli Pintop 2.5" Leveling System. 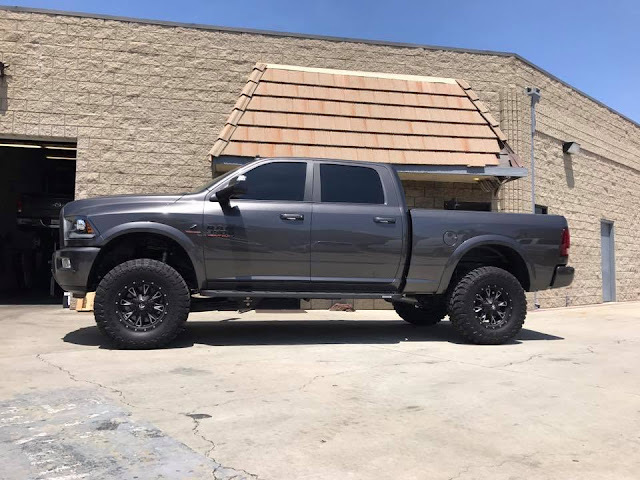 18" Method Grid Titanium wheels and 35" Toyo R/T's round out this awesome combination. This new Mega Cab 2500 features a Carli Commuter 2.0 system, Carli Ram Fabricated Radius Arms, 17" machined Method NV's, and 37" Toyo R/T tires. 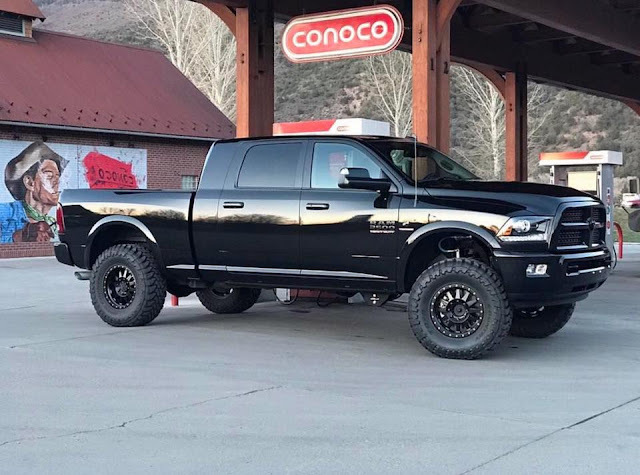 This is another picture of Ron's 2013 Ram 2500 featuring a Carli Commuter 2.0 system, Carli High Clearance Control Arms, 18" Method NV's, and 37" Toyo MT's. This truck is one of our favorites. This Ram 3500 features a Carli Pintop 2.5 3" Lift system, Carli Fabricated Radius Arms, Carli 2013+ Full Progressive Leaf Springs, 18" Method Vex Titanium wheels, and 37" Toyo R/T tires. We have many exciting updates to come in the near future. 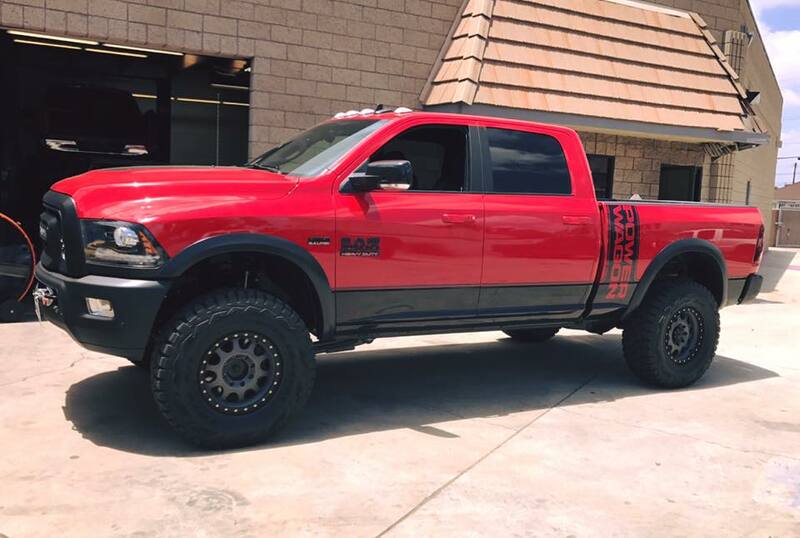 Off Road Expo is around the corner and we have some awesome builds to look forward to!